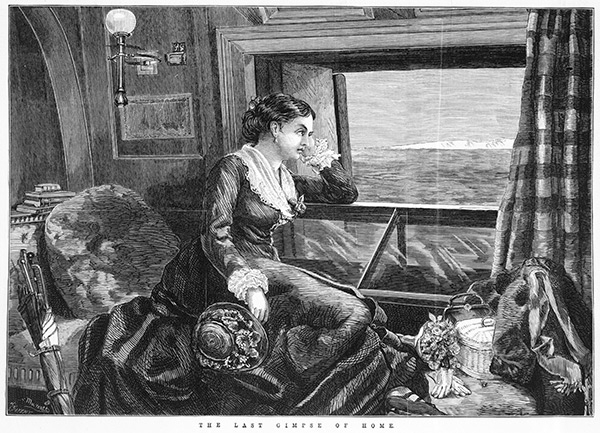 Auxiliary steamers were introduced to the Australian run in the 1860s and by the 1880s had replaced clipper ships for passenger services. 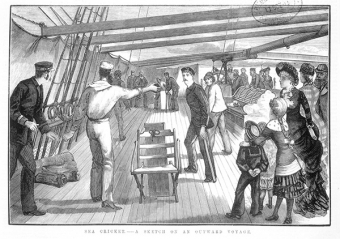 Also during this period iron or composite ships (made with iron frames and wooden planking) had replaced wooden ones. Since iron vessels could be built much larger than wooden ones they could carry far more migrants and provide more spacious accommodation. 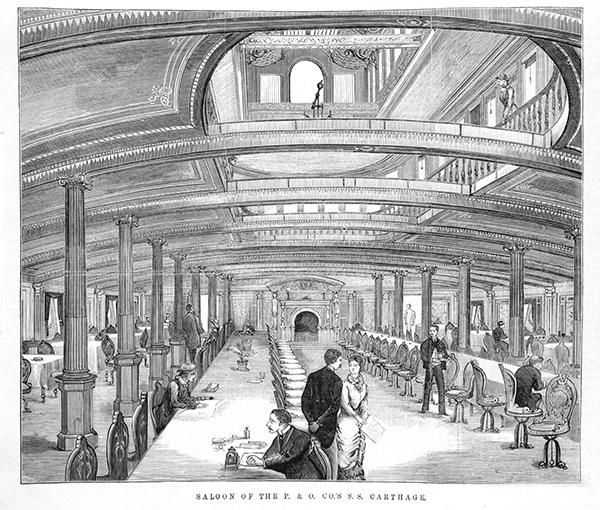 They also had more staff to cater to passengers’ needs. 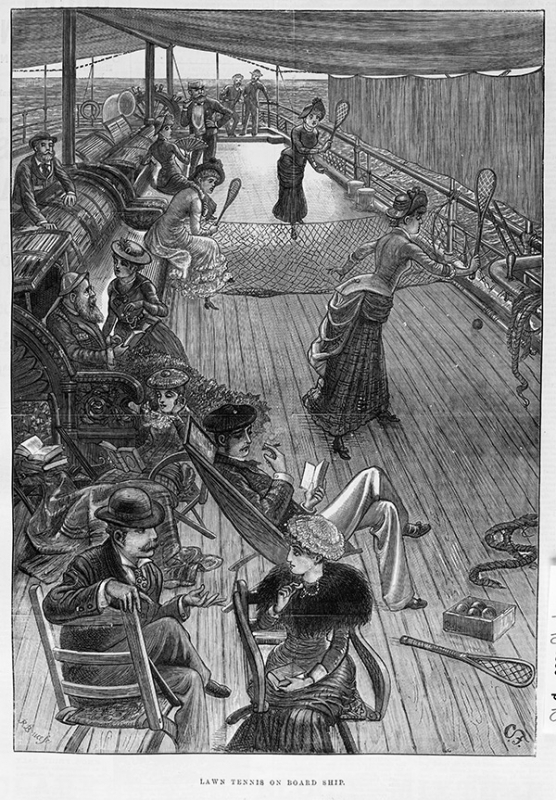 After the Suez Canal opened in 1869 large steamships, now known as liners, could take a much shorter route to Australia. After World War 2, there was a desperate shortage of ships and a huge number of refugees and migrants wanting to leave Europe. 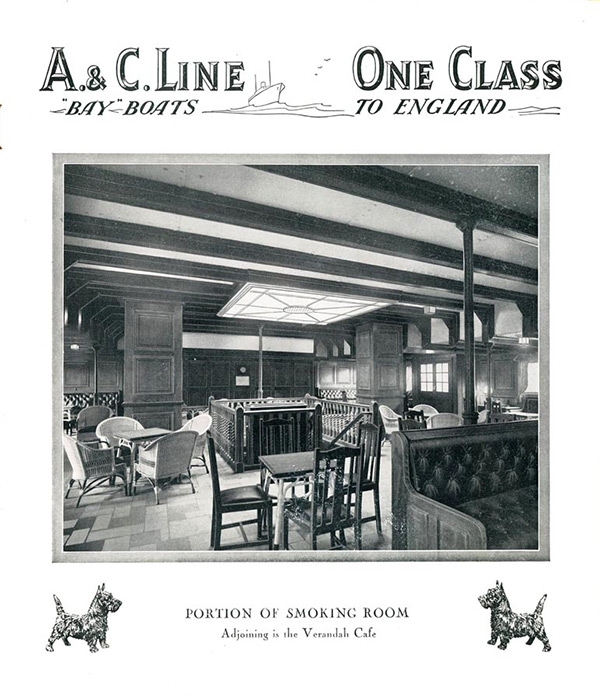 To meet the demand, old ships were hastily refitted with very basic dormitory accommodation. 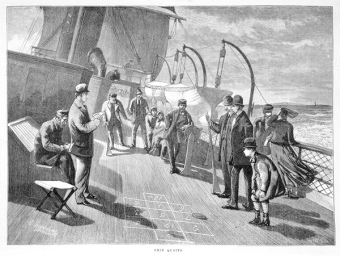 Greek and Italian lines joined the established companies in this lucrative migrant trade and accommodation improved. 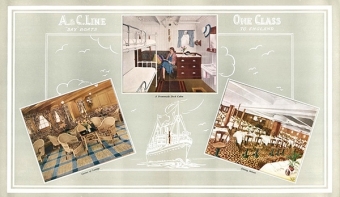 After 1957 migrants travelled tourist class on regular services which were also advertised to cruise passengers. In the 1950s some migrants were arriving by air; by the mid 1970s almost all flew. 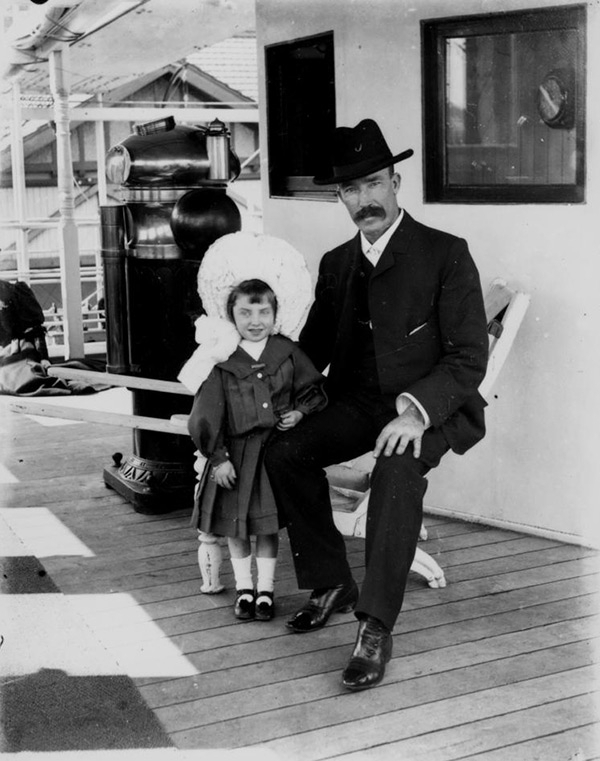 Emigrants en route to Australia c1910. State Library of Queensland. 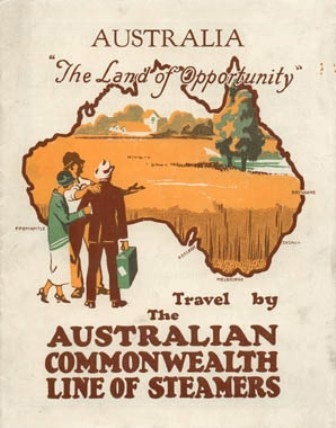 After World War 1 the Australian Commonwealth Line purchased and built ships to carry emigrants from Europe to Australia. 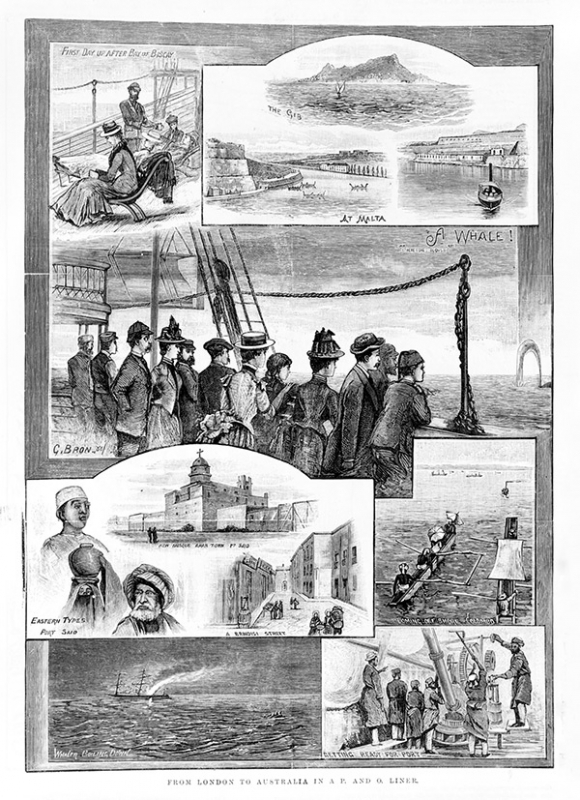 The new vessels were all given names of Australian bays. After continual labour unrest and strikes the Line was sold in 1928 and run as the Aberdeen and Commonwealth Line. 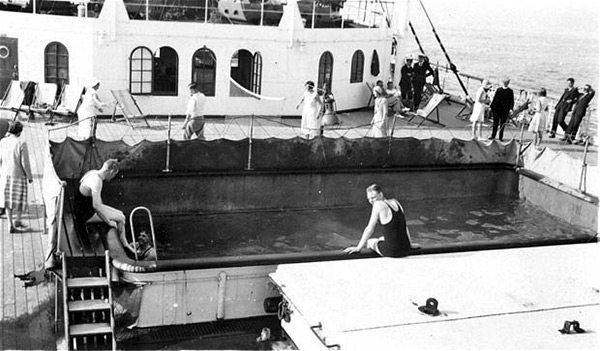 During the 1930s their vessels sailed via Suez to all states except Tasmania – though they did bring Tasmanian migrants as far as Melbourne and occasionally stopped in Burnie. 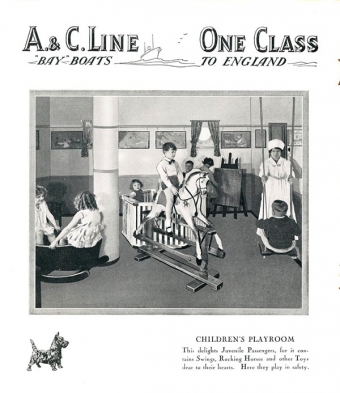 After World War 2, migrant ships often employed mothercraft nurses as well as teachers who taught children and also provided English classes for adults. 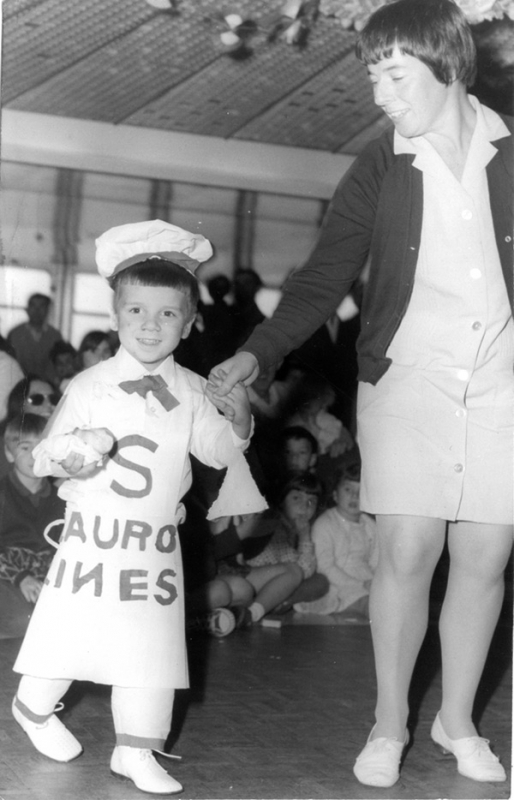 Alison Parsons worked as a mothercraft nurse on the 'Angelina Lauro' and 'Achille Lauro' when they carried migrants to Australia in the early 1970s.The vessels belonged to the Italian Flotta Lauro Line and both offered air conditioned accommodation for about 15,000 passengers. 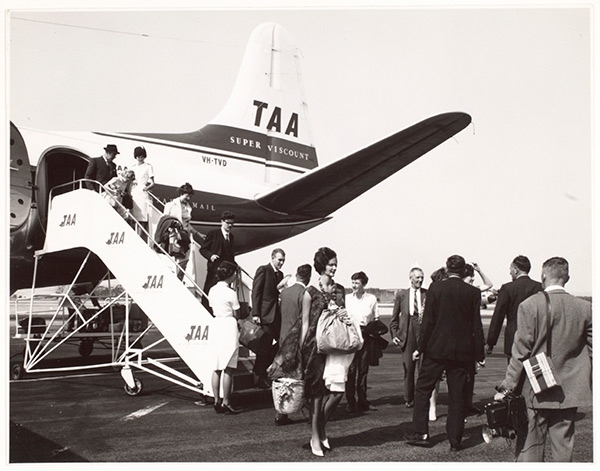 Migrant teachers arriving from the UK by air to work in Tasmania. 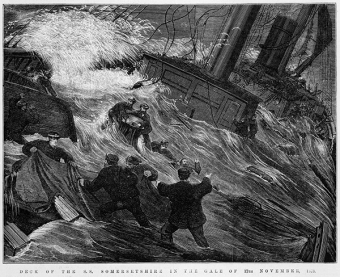 SS 'Somersetshire' in gale (1873) Iron auxiliary steamers were larger and more solid than their wooden predecessors but passengers could still experience terrifying conditions on the long route to Australia. Illustrated Australian News, State Library of Victoria. Saloon of the 'SS Carthage'. 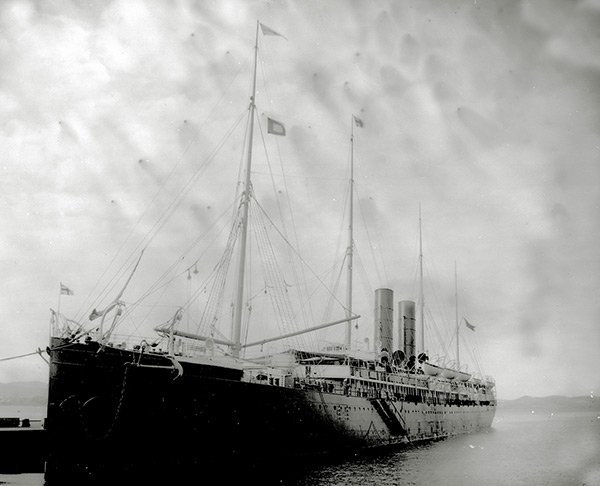 The 'SS Carthage' was built in 1881 for P&O to compete with new Orient Line ships on the Australian route. 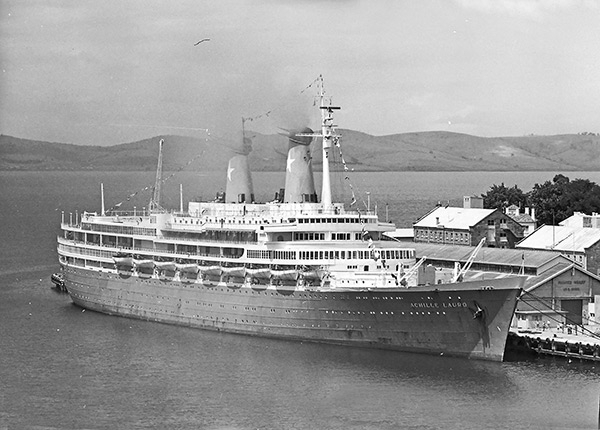 She sailed to mainland ports but her agents advertised through fares to Tasmania. 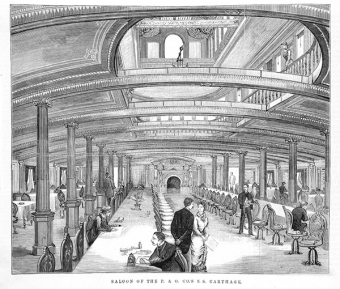 Passengers dining in this magnificent saloon would have had a varied menu with plenty of fresh meat (slaughtered on board) and vegetables. Steerage passengers were served only salted meat and very basic fare but at least they no longer had to cook their own meals. 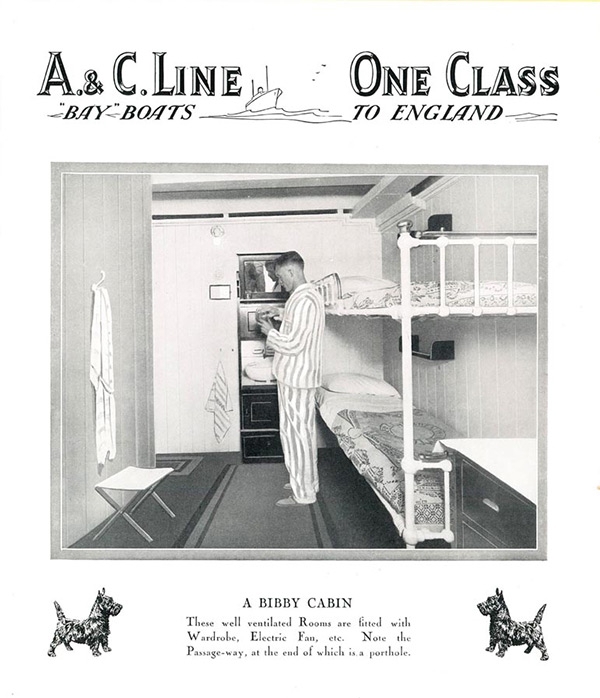 A & C Line 'Bibby cabin'. Migrant teachers arriving from the UK to work in Tasmania. 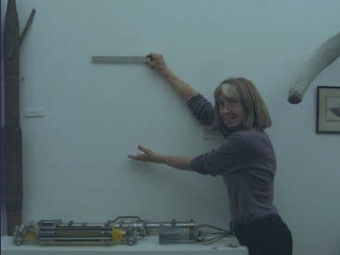 A note from the curator My migrant journey to Tasmania was a roundabout one with backpack and stopovers – an MG convertible across Canada, Jumbo Jet to Perth, train to Melbourne, Princess of Tasmania to Devonport and hitch-hike to Hobart. I had no thought of staying but here I am 40 years on!